Thus said HG Wells in his toy soldier wargame rulebook of 1913 when comparing his Little Wars with Real War. It eloquently sums up the appeal of wargaming: a chance to pit our wits against an opponent and in doing so see if our tactical genius could have outdone a Napoleon, a Lee or a Zhukov. And all done without a single death or injury (though admittedly several pieces of cardboard may be inconvenienced). 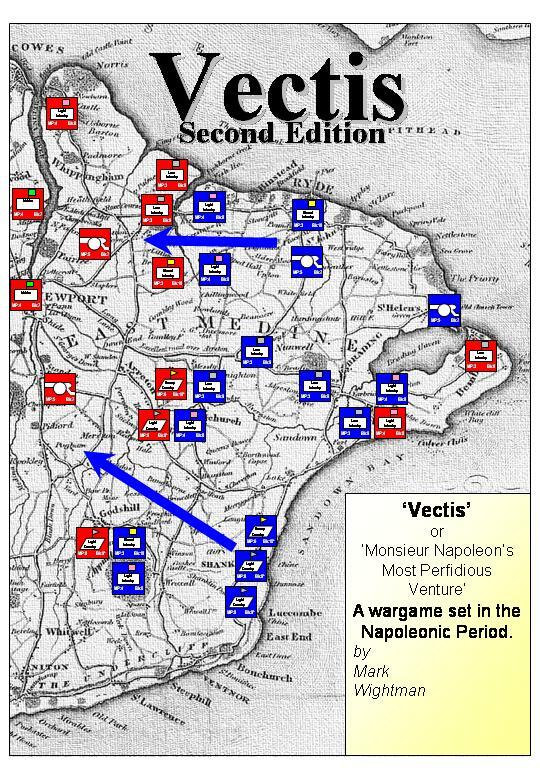 DRAK2: Vectis is a corps-level hex-and-counter Napoleonic wargame that simulates a fictional French invasion of England’s Isle of Wight. You can check out the progress of a playtest by viewing this slideshow. Download: $4.95 @ wargamedownloads.com and wargamevault.com, £3.50 @ lulu.com. Book: £11.95 (+ p&p) @ lulu.com. 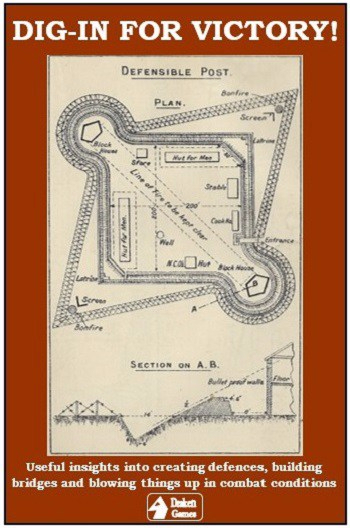 DRAK8: Like the tide into a Breach: The Battle of Neville’s Cross is actually about a real battle! 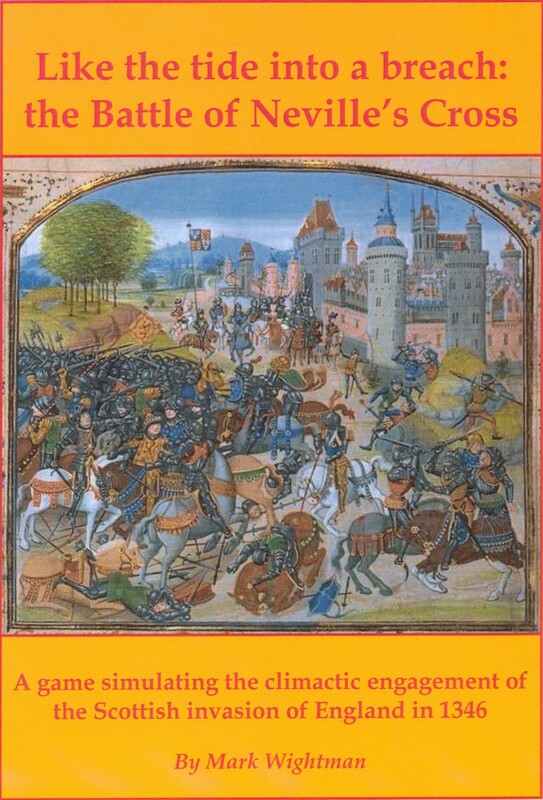 It’s a hex-and-counter medieval wargame simulating the battle that was fought in my hometown in 1346. The Scots have superior numbers, but the English have the longbow… who will prevail? Download: $5.95 @ wargamedownloads.com and wargamevault.com, £4.20 @ lulu.com. Book: £10.95 (+ p&p) @ lulu.com. 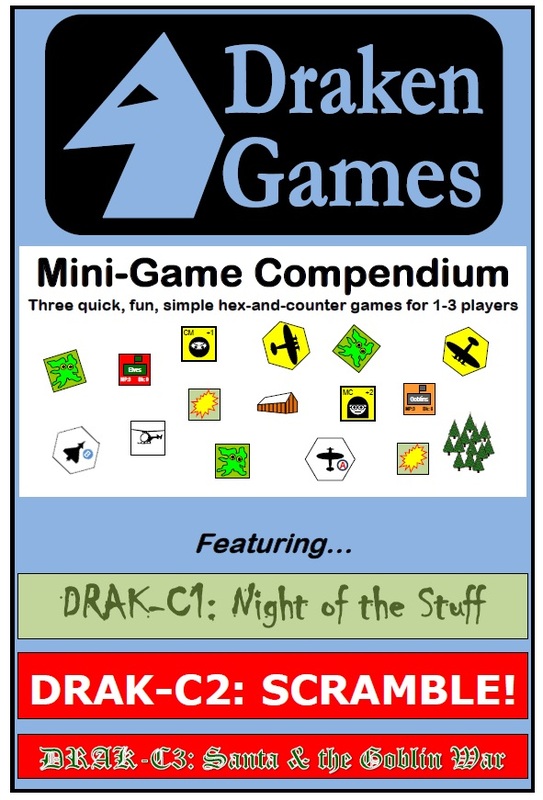 DRAK14: Mini-Game Compendium is a collection of the three mini-games that were included free with Catalogues 4, 5 and 6. While I promised they would only be available as freebies with those catalogues, it seemed a shame not to make them available for others, so they are now available as a bargain-priced compendium. The collection comprises Night of the Stuff (a solo cinematic horror game), SCRAMBLE! (a solo air defence wargame with two- and three-player options) and Santa & the Goblin War (a two-player wargame for the very fate of Christmas). All are quick-to-play hex-and-counter games with the emphasis on fun. Download: $1.00 @ wargamedownloads.com and wargamevault.com.